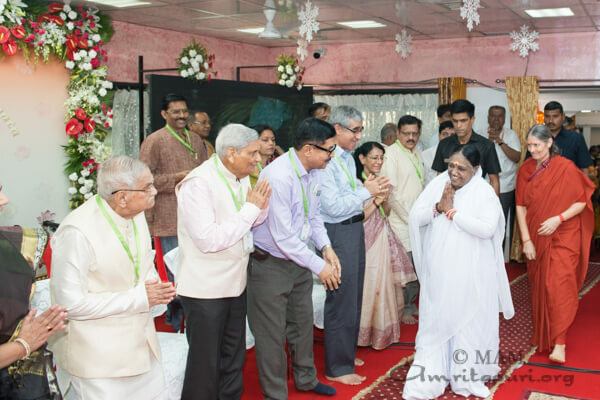 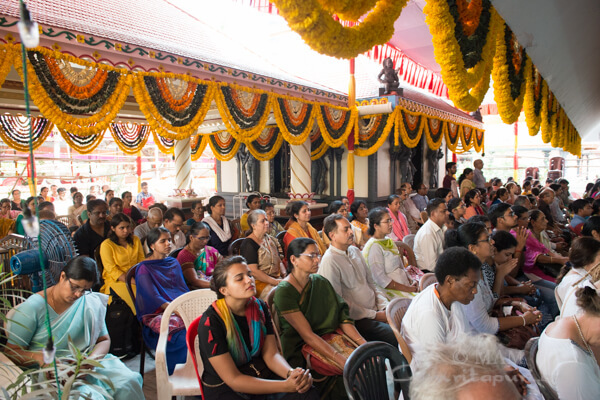 Amma held a two day program in Mumbai to celebrate the 23rd anniversary of the Brahmasthanam installation in the city. 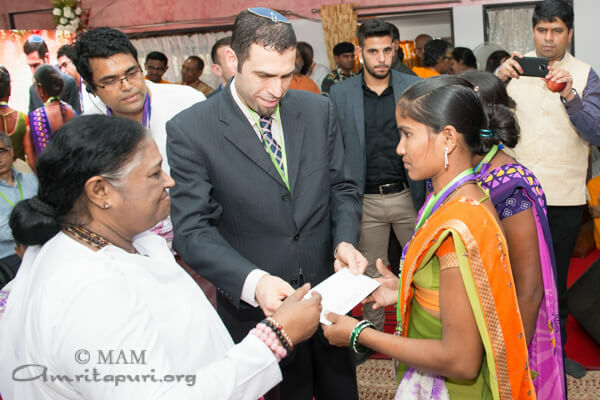 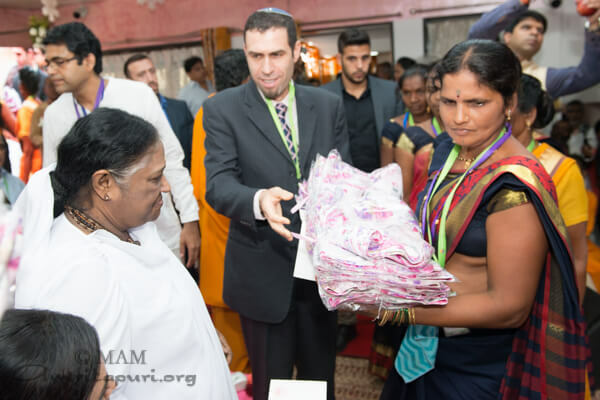 Many dignitaries were there to welcome Amma to the city, including Jaywant Dattatrey Sutar, Mayor, Navi Mumbai; Manda Tai Mhatre, MLA, Belapur Assembly Constituency; Yaakov Finkelstein, Consul General, Consulate of Israel, Mumbai; Mandakini Mhatre, Deputy Mayor, NMMC; and Anjali Menon, the renowned film director. 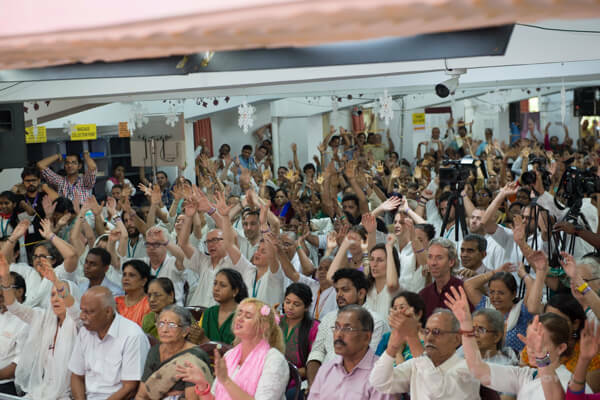 Anjali Menon also had words to share with the crowd, “I am overwhelmed with Ammaji’s national & international charitable activities, especially women empowerment through self-help groups. 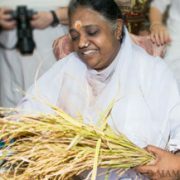 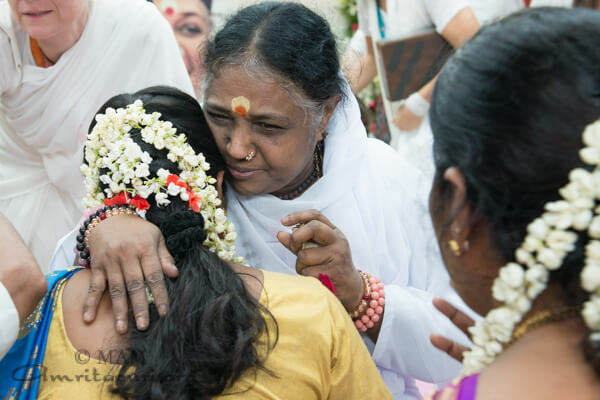 Someone asked Amma – what is the need for today? 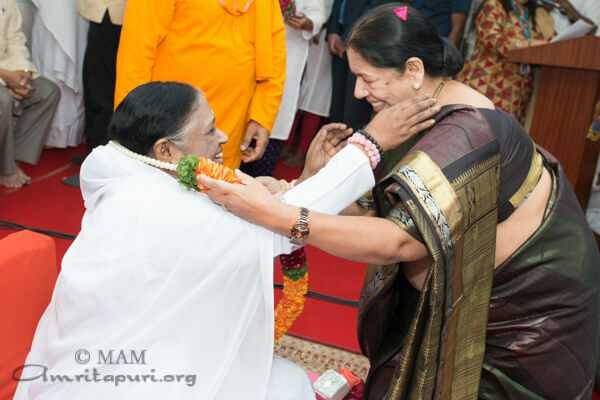 Amma’s answer was Matrutvam – motherhood. 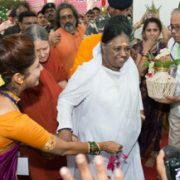 It’s not about being a lady, but to envelope the world with your love.” She thanked Amma for showing the way. 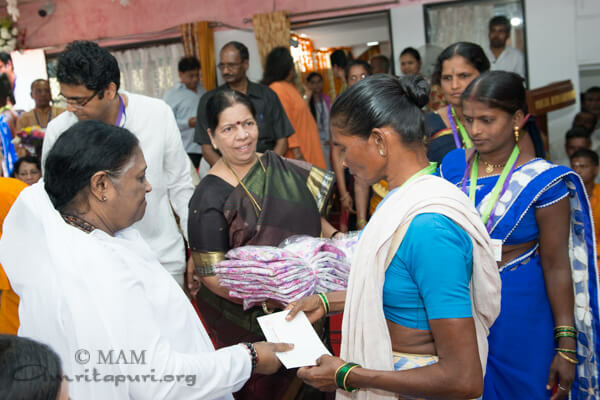 During the program, Amma distributed Working Capital and Sarees to the members of Local AmritaSREE Self-Help Groups. 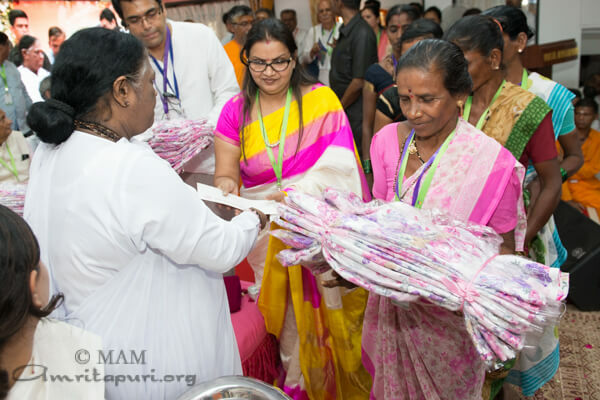 Amma also distributed biodegradable sanitary napkins (made from banana fibre & cloth) created by the Amrita SeRVe project to the teenage girls of Navi Mumbai Municipal School. 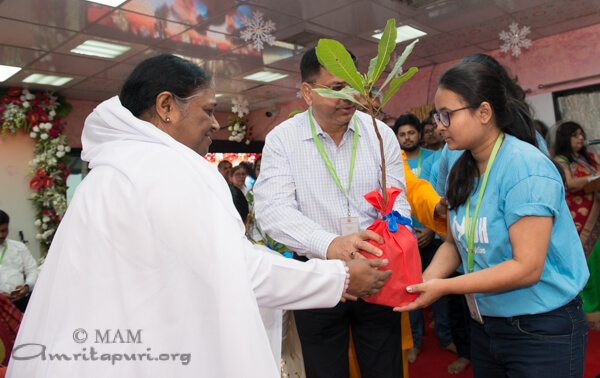 To promote organic farming, Amma also distributed saplings to Amrita Yuva Dharma Dhara (AYUDH) members of Mumbai. 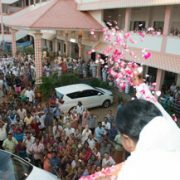 Addressing the gathering of devotees, Amma said, “In the past, people did not have watches, and yet, they still found time for everything. 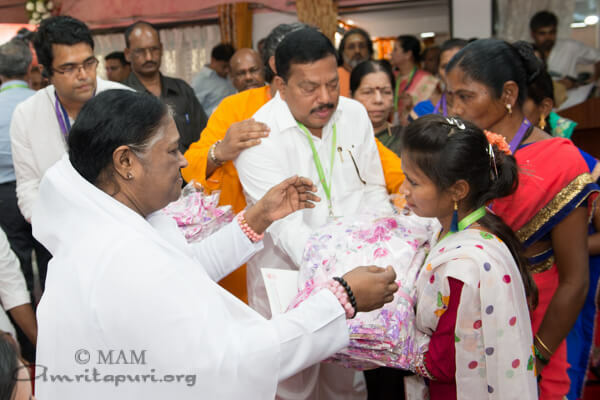 Today, even children wear watches, yet, no one has time for anything. 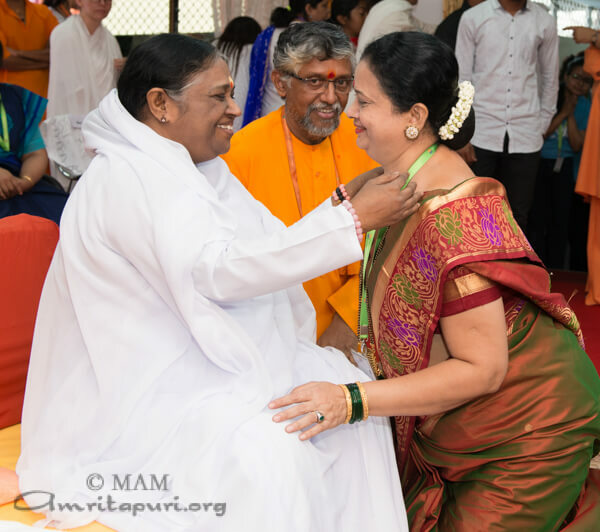 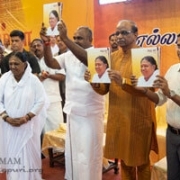 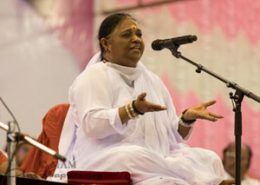 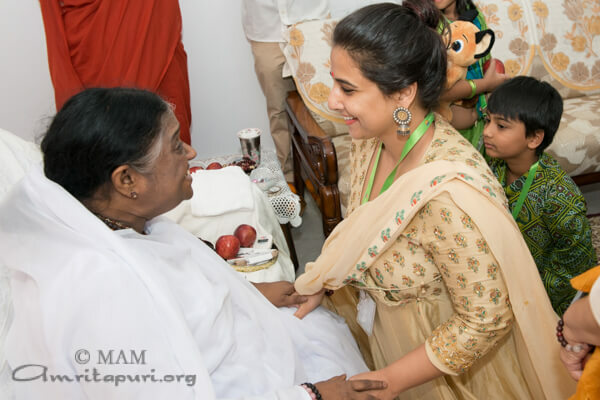 The life of the younger generations is highly influenced by social media, and Amma is worried about the negative impact this has on them.” Amma went on to say that young people should understand the need to develop self-confidence and must learn to gain the mental strength required to face life’s challenges. 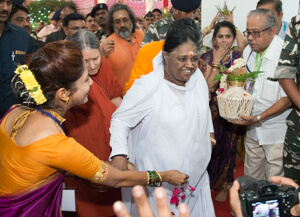 After two days of bustling crowds, the Mumbai program came to an end. 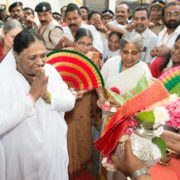 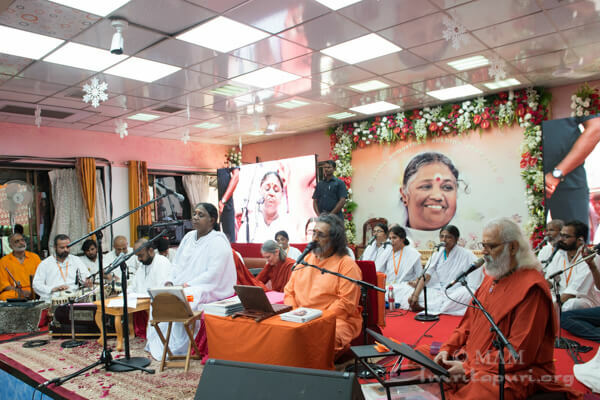 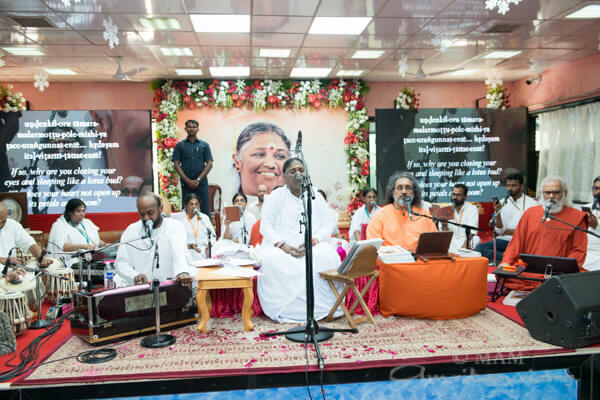 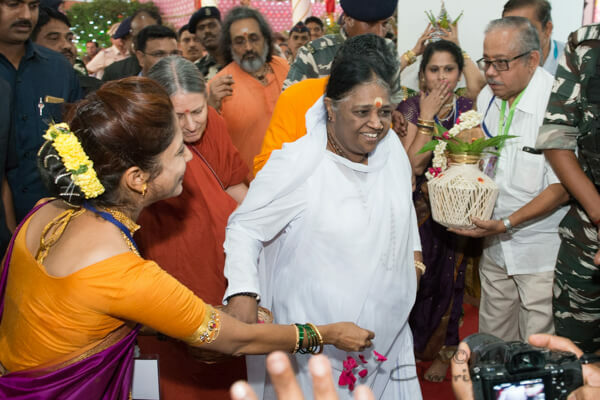 Amma sang Mata Rani and Jay Jay Kar before departing, and despite the tears of devotees who were sad to see her go, their smiles spoke to the warmth that Amma’s presence instilled in their hearts.